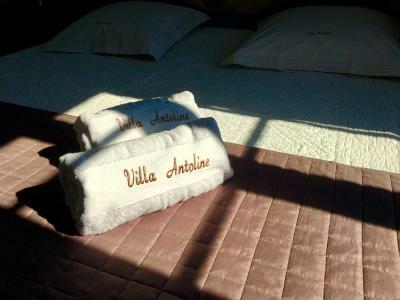 Lock in a great price for Villa Antoline – rated 9.4 by recent guests! Frederic and Isabelle were both fantastic!!! My boyfriend and I live in Paris and we traveled for a long weekend for our anniversary. I requested some extra special somethings to be set up for our anniversary as a surprise and they did this BEAUTIFULLY. 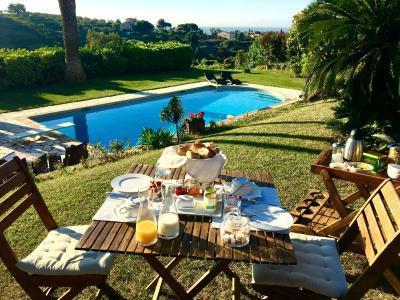 Breakfast was fantastic, the pool was very comfortable to swim in, and Frederic went above and beyond to give us information about the region down to restaurants and parking and activities. 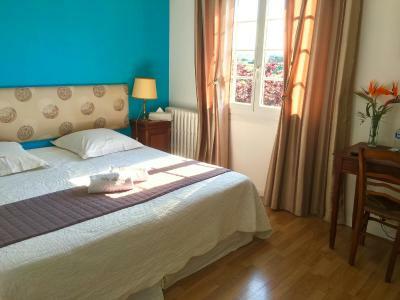 The place was comfortable, welcoming, and perfect for enjoying the Cote d'Azur! Highly recommend to anyone, we'll be staying again. Frederic and Isabelle were welcoming and loving hosts. The view was a welcome vista for weary travelers. 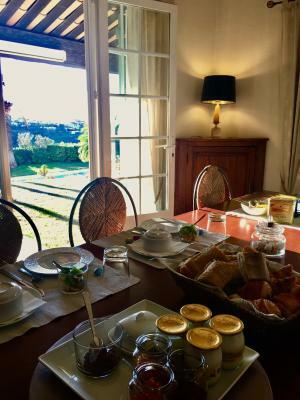 We loved Isabelle’s breakfast spread, too! 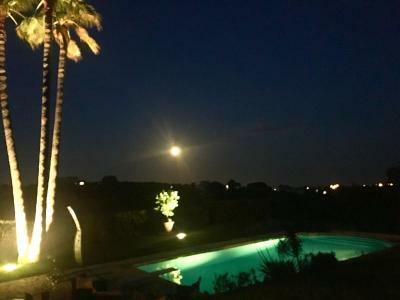 very relaxing location and yet near the city of Nice. 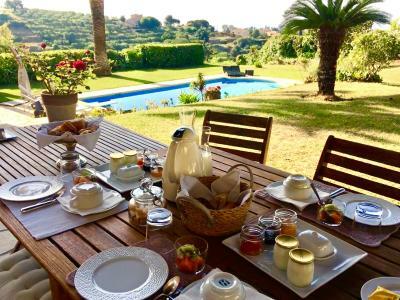 Wonderful breakfast with apectacular view over the bay, and good company, the host is very fiendly and helpful! Breakfast with the view, nice to sit together with other guests and talk. 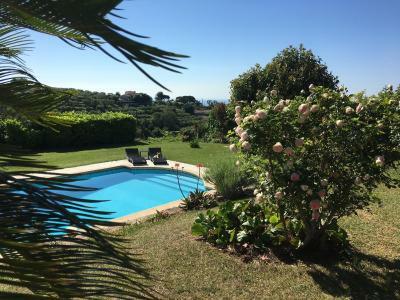 Pool area and the nice quiet location, outside of the hectic climate of Nice. Easy to take an Uber into Cagnes-Sur-Mer or Nice if you’ve liked. Frederic and Isabel gave nice assistance with plans for the trip, what to do, see and eat. 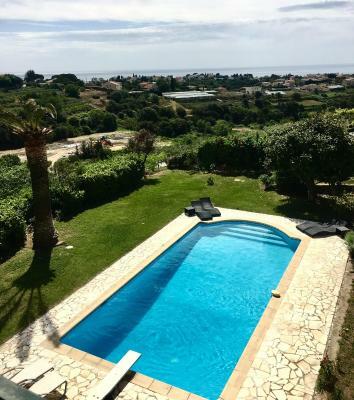 Excellent pool with stunning views. Every morning breakfast with caring funny owner who makes you feel at home and gives tips about the surroundings. We stayed with our 6month baby who felt right at home. 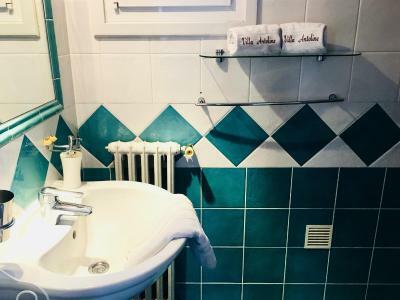 Everything was perfect - clean and comfortable room, beautiful view, peaceful area, really nice and helpful owner and a wonderful French breakfast. It deserves even more than 10 points. Owner was very friendly and helpful. 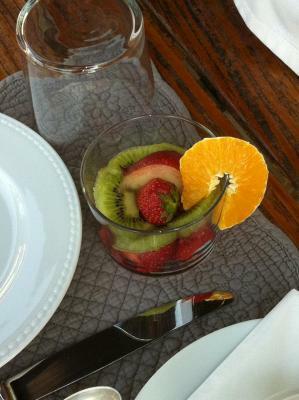 Breakfast was excellent and taken on the terrace overlooking the pool. Room and bathroom were clean and comfortable. A shared fridge and microwave plus plates etc were available to prepare a simple meal to be be eaten outside. 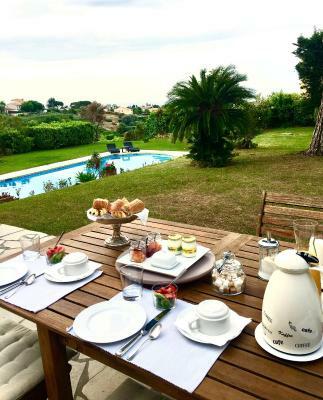 Surrounded by a garden with views of the country-side and the Mediterranean Sea, this hotel is located in Cagnes-sur-Mer. 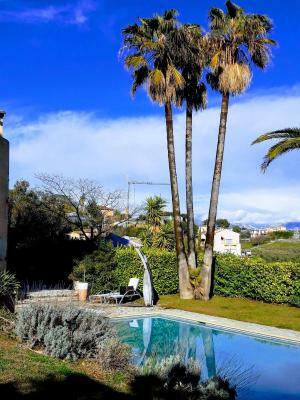 It offers an outdoor pool with a water slide and a furnished terrace. 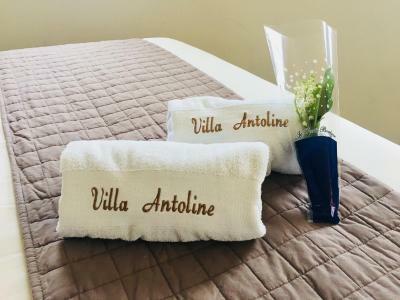 Each air-conditioned and soundproofed room and suite at the Antoline has free Wi-Fi, a flat-screen TV with a DVD player, and a private bathroom with a hairdryer. 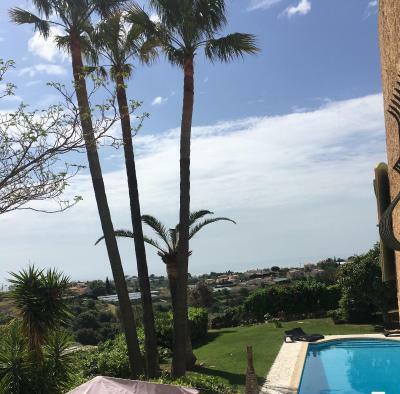 Some rooms have a view over the sea or the pool. 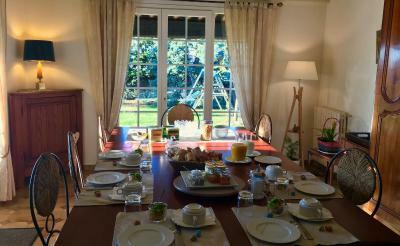 A continental breakfast is served daily in the dining area or on the shaded terrace. A common fully equipped kitchen and outdoor living room are available. 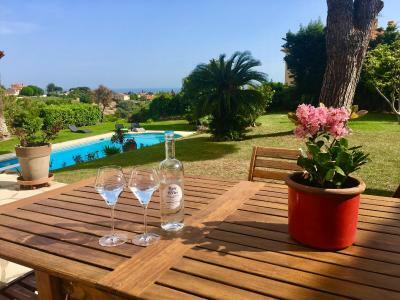 Guests can also enjoy the barbecue facilities and the pétanque area. Free private parking is provided. 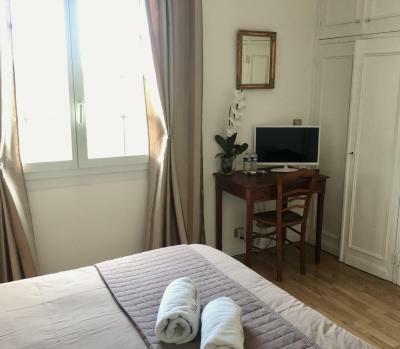 It is 10 minutes from the beach and a 20-minute drive from Nice and a 10-minute drive from Nice Côte d'Azur Airport. 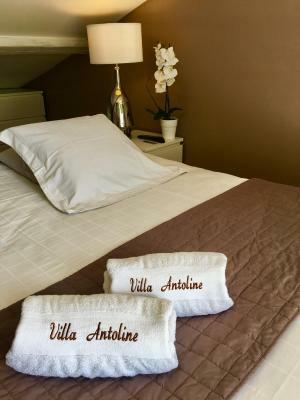 When would you like to stay at Villa Antoline? 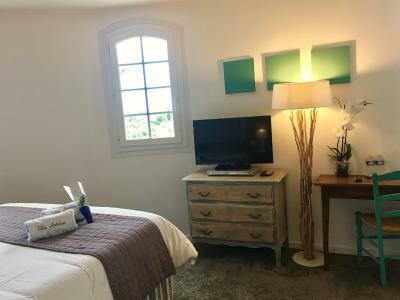 This air-conditioned room has views of the sea and the pool, a flat-screen TV with a DVD player, and a private bathroom with shower. 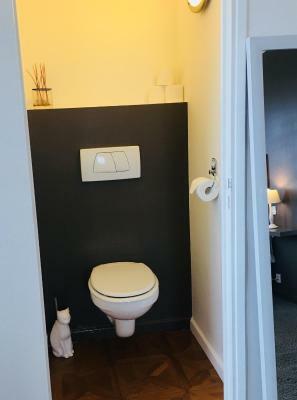 This air-conditioned room has a flat-screen TV with a DVD player, and a private bathroom with a bathtub. 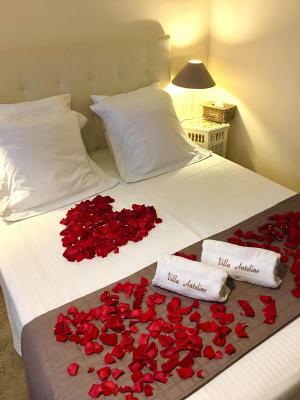 This air-conditioned suite has an oriental style, a flat-screen TV with a DVD player and a private bathroom with a shower. 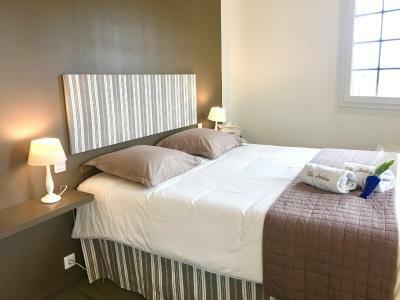 This suite can accommodate 3 additional children, at the rate indicated in the sales conditions. 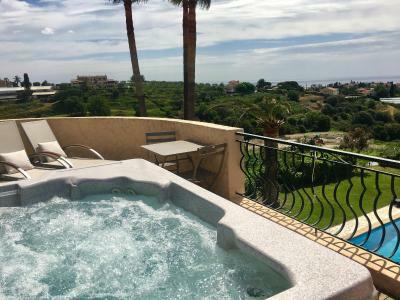 These attic suites feature a private, heated hot tub on their 10m2 terrace and views of the sea and swimming pool. 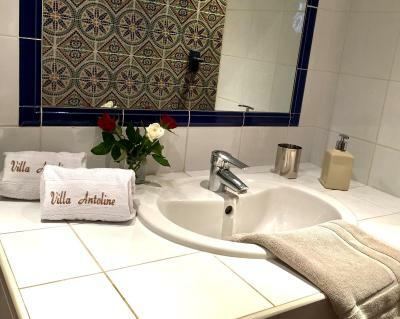 House Rules Villa Antoline takes special requests – add in the next step! Please note that prepayment by bank transfer or check is due before arrival. 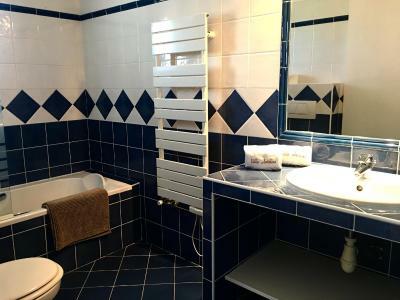 The property will contact you directly to organize this. The prepayment is due within 48 hours of being contacted by the property. 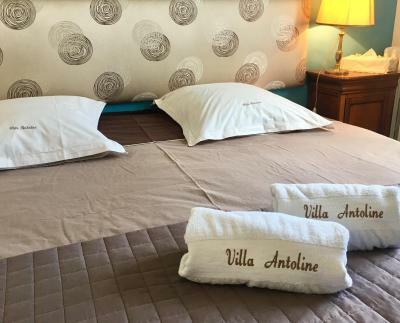 Please inform Villa Antoline of your expected arrival time in advance. You can use the Special Requests box when booking, or contact the property directly using the contact details in your confirmation. I missed blinds for the windows. Kitchen is basic. If you look to prepare own meals then it's a challenge. 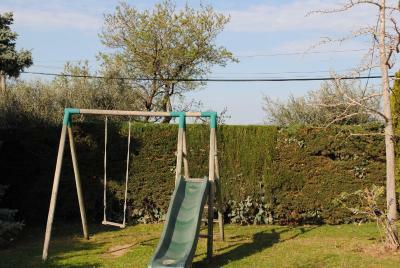 The property was good and situated on a hill above the main town but not within walking distance. That said, the owner was able to advise on the best and cheapest/ free places to park. Very friendly host. Every morning at breakfast he asks you were you want to go and gives very useful tips (best place to park your car, what to visit in that city, etc..). Would recommend this place to everyone who's planning on visiting this region. Just a little thing, For me a kettle so I could have a cup of tea. Frederic is a charming delightful host and full of information about the area and how to get about. 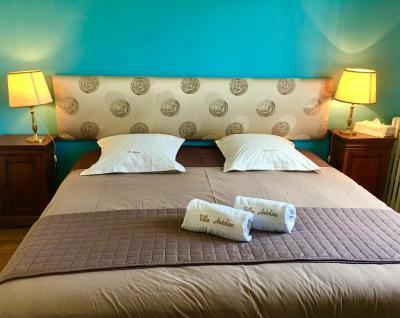 We found our room to be clean and comfortable with a delightful veiw of pool and gardens. The continental breakfast was delicious and very well laid out. You can also have egg and bacon if you ask. Thank you Frederic for your hospitality.